From April 8-22, every 4-year-old child in Mesa County can pick up a free copy of “Penguinaut!” as part of the annual One Book Colorado program. Copies of the book are available at all Mesa County Libraries locations in downtown Grand Junction, Clifton, Collbran, De Beque, Fruita, Gateway, Orchard Mesa, and Palisade. Simply stop by and pick one up! 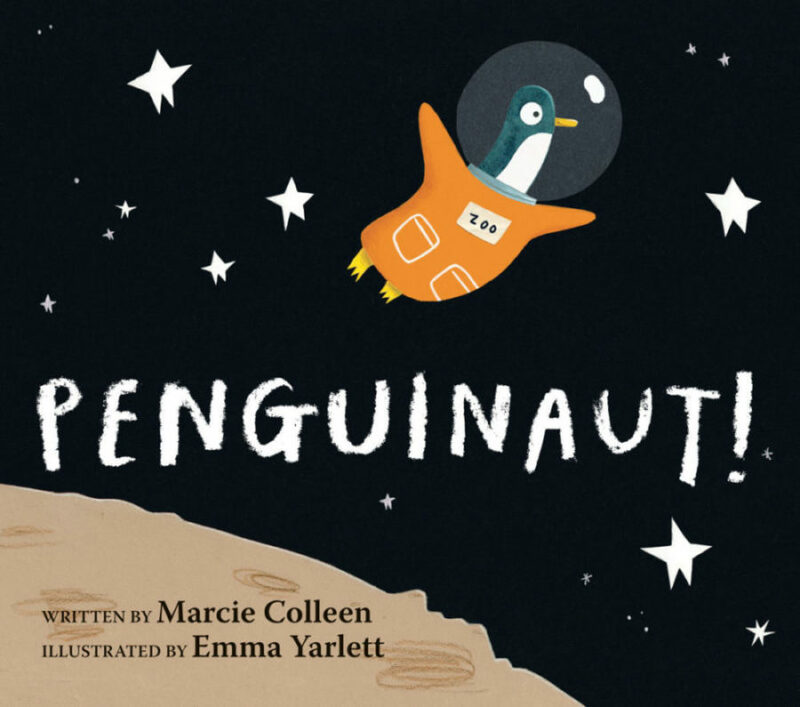 “Penguinaut!” by Marcie Colleen and illustrated by Emma Yarlett is the charming story of a small penguin who hatches a big idea for a trip to the moon. Copies of the book are available in English or Spanish to all 4-year-olds in Colorado, and the books are theirs to keep at no charge. Picking up a copy of “Penguinaut!” gives families a great opportunity to read together. Family members are children’s first and most important teachers, and the purpose of the One Book Colorado program is to encourage early literacy skills. There is no better way to instill a love of reading in children than for family members to read with them. This year, One Book Colorado will provide more than 75,000 books to 4-year-olds statewide to encourage families to read together. In its eighth year, One Book Colorado is a statewide collaboration among Serve Colorado, the Colorado State Library, the Colorado Department of Education, the Denver Preschool Program, the Colorado Office of Early Literacy, public and military libraries statewide, the private sector, and the nonprofit and foundation communities. For information, visit onebookcolorado.org. Posted in Branches, General, Kids, Library News, Literacy.